Home→Adventures In Home Repair!→Happy Independance Day! 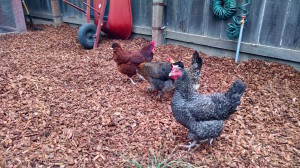 I had a nice 4-day weekend for the 4th of July holiday. 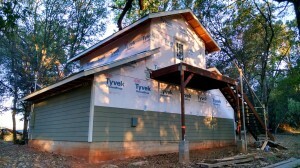 I had some family time and also worked on both the barn and my house. 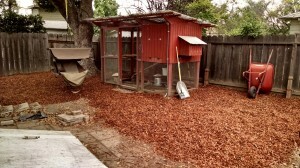 I spread 6 yards of bark mulch around the chicken coop in my San Jose yard to make it look a bit nicer without a water-guzzling lawn. I think it meets that objective pretty well. 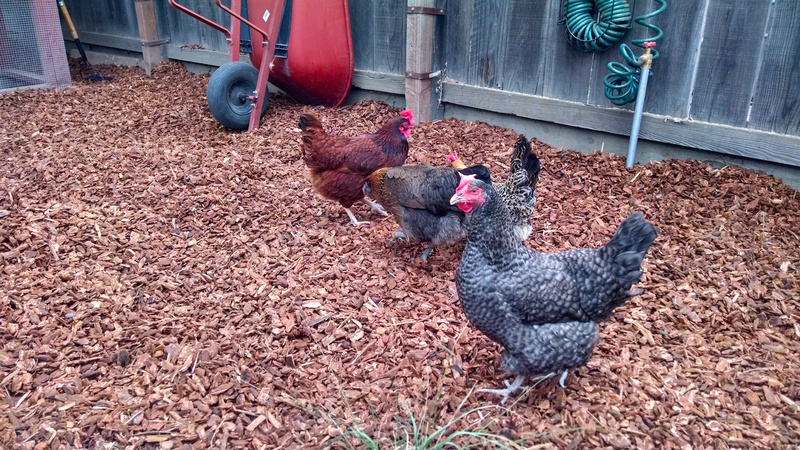 The hens like to dig around in the bark so I’ll probably be raking it fairly frequently, but it looks a little more well kept than having them dig around in the dirt and weeds. I also worked on the barn, adding an exterior electrical panel where I want to eventually put an AC compressor and perhaps an outdoor receptacle, and I also added more siding to the west wall. The panel took a while to install. 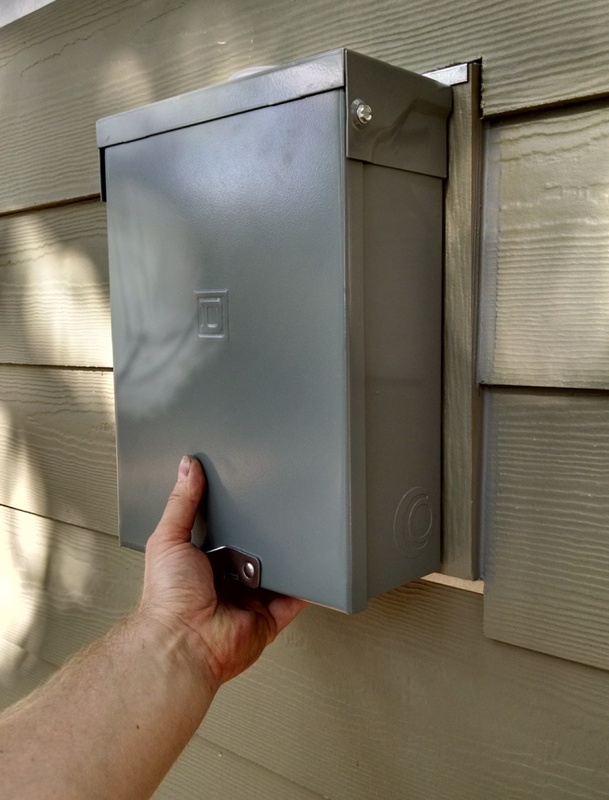 Or to be more specific it took a while to install the interior blocking, the outside mounting block, integrate the flashing with the building wrap and fit the siding around it all. Actually installing the panel itself only took 20 minutes once the other stuff was done. The auxiliary panel is bigger than what you would usually use for an AC disconnect, but it only cost me $45 including the accessory ground bar kit and it allows more flexibility for me so I think it’s a good choice.